Real butter is delicate. The less you process it, the better it tastes. 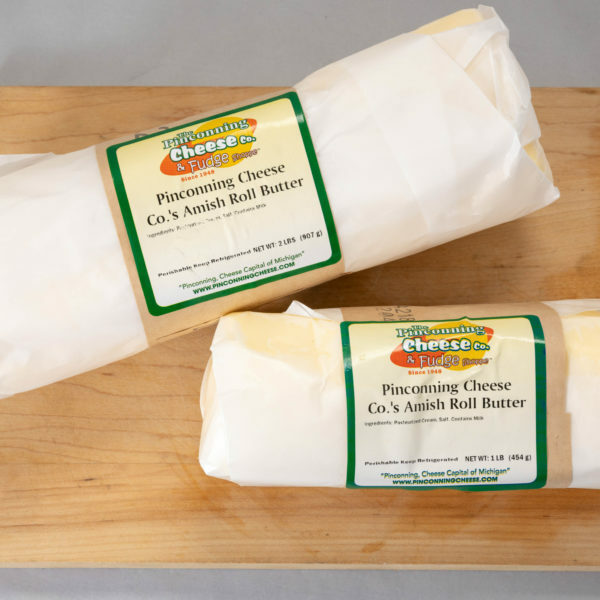 When you buy Amish Roll Butter from Pinconning Cheese, you’ll appreciate the silky taste and hand-churned texture of this premium product. Our old-fashioned roll butter in a paper wrapper is great for baking! 1 lb. or 2 lb. roll.